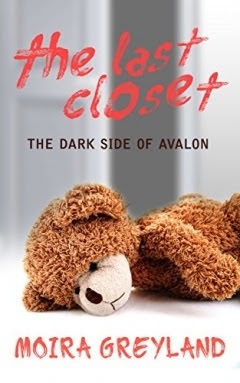 I've just read one of the most significant books of the decade: The Last Closet: The Dark Side of Avalon by Moira Greyland. I've been meaning to read this ever since I heard that it was going to be published. MZB (Marion Zimmer Bradley) was one of the many SFF authors I first encountered as a kid, and I've read many of her books. When the news of the sexual abuse scandal surrounding MZB and her husband Walter Breen broke out on the blogs, I was shocked and saddened. So I wanted to know the whole story. Still when it was finally published last December I procrastinated, wondering if it would be too sad to get through. I finally picked it up because it's a finalist in the CLFA Book of the Year 2018 Awards, and I needed to read before voting. Now I wish I had read it sooner! It is actually a very readable book which I had trouble putting down. Moira is restrained but frank in telling her story, and is amazingly compassionate in telling the stories of her abusive parents as background. They were both abused by their families - MZB raped by her father, Breen was psychologically abused by his mother and seduced by a priest. I think Moira has grappled a long time in trying to understand why they turned into the twisted monsters they became. Then she tells her story, and it's painful and horrifying and harrowing. It's the story of a child in circumstances no child should be in, a child you just want to swoop in and rescue. But it's also an incredible story of the survival of the human spirit. Not just survived, but against all odds remained untwisted, unbroken. A child who grew up to heroically save other children from her childhood monsters. It is also a massively politically incorrect book, as Moira shows how the abuse is an inescapable consequence of the liberal omni-sexual culture. She grew up in Berkeley, where this culture incubated, and as it spreads across the country, so does the number of children that it preys upon. Readers who are survivors of abuse will want to proceed with caution. But for everyone else, I highly recommend this book. It's a tale of truth, plainly told, of a child who survived Hell with her soul intact. A story that would have been easier left untold, but Moira knew that telling her story might help save other children from that Hell. So she found the strength and courage to write it. It is up to us readers to find the courage to read it.